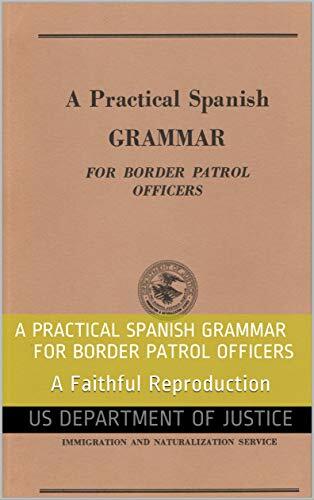 The book pictured to your left is the time-honored Spanish book used by thousands of Border Patrol Agents to learn the basics of the Spanish language. I have personally digitized it and uploaded it to Amazon.com. I set the price at the lowest allowable price. This version can be downloaded and saved to your computer. You can print any page of interest to you. To order the book, click HERE. ​You may also order a free version that cannot be saved to your computer. Click HERE. When you click on these links, you will go to Amazon.com. By clicking on the links, if you make a purchase, Amazon throws us a small bone which helps keep the web site up and running. You can deal with confidence with Amazon.